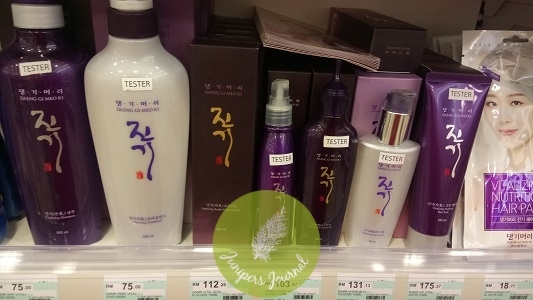 Other than Ryo hair care from Korea which has natural herbal ingredients in its formula, there’s also Daeng Gi Meo Ri. Prices of this brand are on the steep side ranging from RM18.77 to RM175.37. 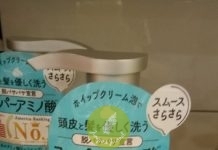 At that kind of prices, anyone would have high expectations of the products. Daeng Gi Meo Ri shampoo has no added colouring, made from the main material of extract through the enriching and ripening procedures of boiled various oriental medicinal herbs, which is helpful to the health of scalp and hair. 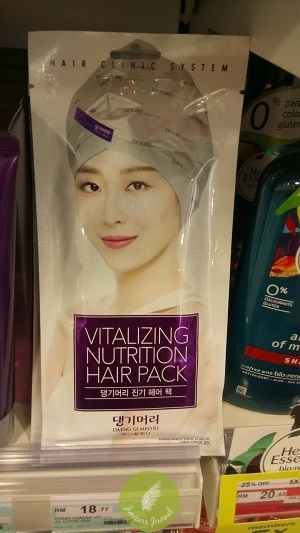 Daeng Gi Meo Ri Vitalizing Nutrition Hair Pack looks like something my hair needs as it contains a nourishing serum in a hair cap mask. The natural heat from wet hair provides a steam effect that helps the serum penetrate each hair follicle for superior repair. It contains 8 oriental herbal ingredients such as Ginseng, Silkworm bark, Digitalis berries, which are used for healing hair, as well as additional fermented oriental vegetable ingredients.